Here are some useful tips and tricks I've learned in the open world zombie survival game, Dying Light. Early Game Survival - Early on its better to avoid zombies and run away until you can improve your fighting skills and find more weapons. Staying undetected- The Ninja costume removes the footsteps sound making it easier to sneak by zombies. Hidden areas - You can break some wooden doors down by kicking them. Finding Bolters - You can hunt bolters at night which can be found at feeding grounds as blue skull icons. You can use firecrackers to distract any volatiles protecting the bolters. Free Items - Don't forget to regularly check with the quartermaster for free items. He can be found by using the elevator in the tower to go downstairs, he is located right next to the tower jump exit with the two soldiers. Throwing Weapons - You can double click R3 to throw weapons. Throwing can kill enemies faster and uses only 1 durability. Though keep in mind it is possible to lose a rare weapon by throwing it in a part of a level you cannot reach or access. So be careful where you throw your weapons. More Cash - If you need extra cash and dont want to sell your weapons or ingredients, don't forget you can always sell your valuables as they have no use in the crafting system. Starting the Dying Light DLC - To start The Following DLC, go to The Following on main menu. A good level to start the DLC is around level 12 as the zombies can be very tough for a new character. More Repairs - You can dismantle weak weapons for weapon parts that repair your best weapons. It's better to dismantle weapons than to sell them so you can repair your good weapons. Increasing Agility - In order to increase your agility skill, run, climb, kill enemies using the environment, and use abilities from the agility skill tree. 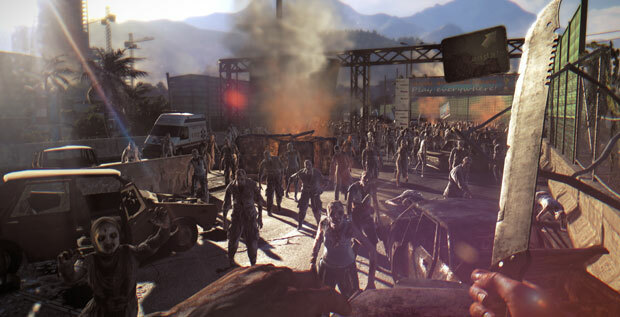 If you have any of your own hints, tips or tricks for Dying Light, please post them in the comments below.